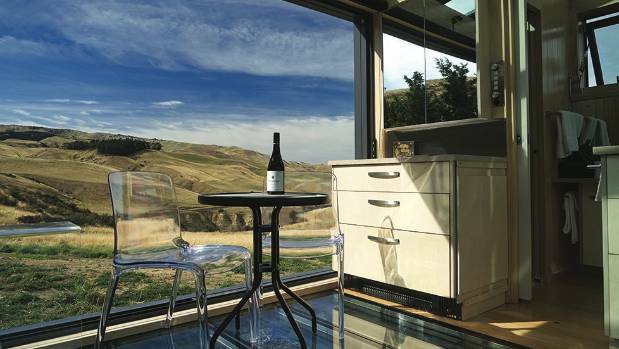 Leave the trappings of civilisation behind, relax and drink wine – that’s the mantra at Canterbury’s latest glass pod in the Waipara Valley. We left the city behind, we left the kids behind, and – as it was midweek – we even left work behind. But it was not enough. We left the car behind and hiked the final half kilometre to the PurePod bach at Greystone Vineyard. There, the bach designer had left behind the usual barriers of roof, walls and floor. They were all glass. So, we also left behind conventional expectations about privacy. Then again, we had also left people behind. 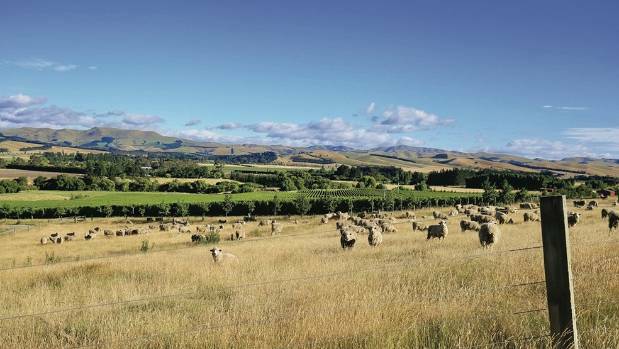 We had been guaranteed no-one would disturb us for the duration of our stay and perched high above the Waipara Valley, 3km from the vineyard’s entrance off State Highway 1, there was no chance of anyone wandering by. Yes, it is all see through, including the shower and toilet. On the front of the guest booklet was the motto “immerse yourself in the landscape” and that was the immediate effect of being in a glass box in the middle of a small paddock on top of a ridge. A hawk was circling and swooping above the ridgeline and my wife was wondering if the mushroom growing in the ground cover and bark underneath the thick, laminated safety glass floor was edible. The view was panoramic, but not spectacular, and, in a way, that felt like the point of the experience. By stripping away the usual filters, you expose yourself to the everyday aspects of the natural world. See that delicate shade of purple on those weeds in the paddock? Is that flock of swallows settling on the nearby shelterbelt the same one that circled overhead 15 minutes ago? Being exposed to the full 360 degrees of the view reframed my relationship with the natural world. I was not staring at the view ordained by a picture window; I was letting my eyes settle wherever they found interest. We lounged in what felt like the world’s most comfortable camping chairs on the front patio, overlooking the Waipara Valley, with tiny Matchbox cars tootling along State Highway 1 beyond rust-coloured blocks of grapes, but I found I preferred the view behind, looking at the variegated greens of the folds and rifts of the Teviotdale Hills. We had walked in on an upgraded sheep track along the back of the ridge, with those hills on our left, so that when we cut right and dropped over the ridge, the view opened up over the Waipara Valley, with the PurePod perched below us. Big skies, wine and luxury at Greystone Vineyard in Waipara. That walk, along with other arrival rituals, such as being emailed directions only at the last minute, the drive through the vineyards and sheep paddocks, even the little hut at the car park containing oilskins and gumboots in case it was raining, were part of the artful construction of that immersion into the landscape. You probably could drive straight to the PurePod, as the cleaners do, but the roundabout route and the short hike help build the perception of getting back to nature. Yet it is not as if you are roughing it in a wet tent deep in native bush. You are sitting in comfort in a solar-powered luxury bach overlooking vineyards on a converted North Canterbury farm. Were it not for the glass-walled novelty and elegant simplicity of the bach, the setting would be almost mundane. But the PurePod experience elevates the mundane by making you appreciate it anew, hiding in plain sight in your glass house. This is what modern luxury has come to: paying $490 a night and submitting to an elaborate – albeit enjoyable – ritual, to simply watch the grass grow. If slowing down to a snail’s pace, best to do it in comfort. 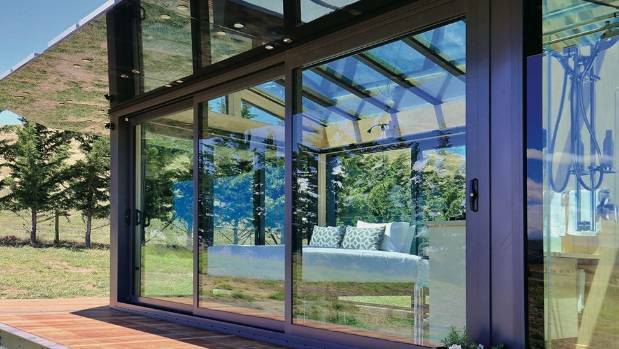 By combining a minimalist aesthetic with solar power, the PurePod offers guilt-free luxury. The bed is crisp, soft and large; the shower forceful, roomy and boasts a great view. In keeping with PurePod’s sustainable ethos, the bach is small but perfectly formed. It contains everything you need and nothing you don’t. Cooktop, barbecue, wireless speaker, USB charger, telescope for bird-spotting or star-gazing – yes. Hairdryer, ironing board, power outlets – no. With no-one around to impress, why would you need a hairdryer and, besides, it would draw as much power from the solar-charged batteries as the entire PurePod does over 24 hours. We had pre-ordered dinner and breakfast, so already in the fridge were ingredients for us to prepare a feast. 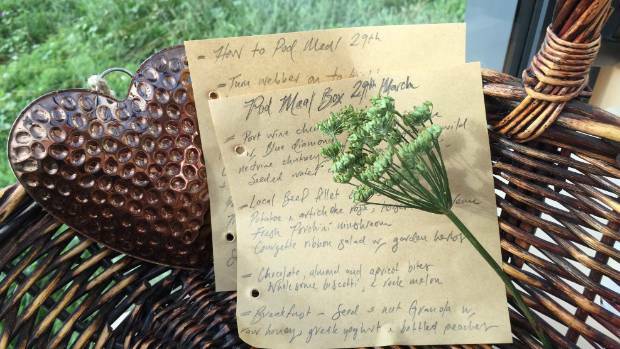 In a wicker basket were the nonperishables along with a handwritten menu and idiot-proof cooking instructions. We started with a cheese platter that included plum conserve, wild nectarine chutney (a delicious match with the Kikorangi blue cheese) and locally made salami. Now fortified, I fired up the barbecue and grilled marinated beef steaks, which were paired with a potato and artichoke rosti and a courgette ribbon salad with garden herbs. It was all delicious, but the best part was a whole fresh porcini, which I sliced into steaks and barbecued with olive oil. I’d had porcinis on the brain ever since lunch, when we had stopped at Black Estate winery, just up the road from Greystone. After an amazing lunch, I met general manager Penelope Naish, who emerged from the kitchen with a large box of fresh porcinis. Her mushroom supplier had just stopped by with a bumper crop and Penelope had been brainstorming with her chef how they would incorporate them into the menu. A neighbouring organic sheep farm makes for some relaxing viewing. Penelope told me she loved having stumbled into a community of passionate foodies in North Canterbury, and I told her how happy I was to have just sampled some of their handiwork. Our lunch had included homemade goose rillette (goose from Amberley’s Red Squirrel cooked in its own fat) and a charcuterie platter of locally produced copa (cured pork shoulder with fennel), bresaola (beef cured in red wine and cloves) and duck liver parfait, and a divine lamb salad that included lentils from Darfield, along with snow peas, fresh mint and feta. Accompanying our meal was the sight of backpackers harvesting chardonnay grapes on the block in front of the restaurant, as well as plenty of toasted ciabatta from Rachel Scott, the genius baker of Amberley. The dinner we prepared at the PurePod was just as delicious, thanks to beautiful fresh ingredients, and ended with chocolate, almond and apricot bites, biscotti and rockmelon. We had been looking forward to an evening of gazing at a 180-degree clear-sky view full of stars, but the low cloud cover had hung around stubbornly all day and was going nowhere. The main point of our getaway was thwarted, but we were too content to feel more than passing disappointment. The next morning, we awoke before dawn and, from the comfort of bed, watched the fog slowly lift off the valley floor and retreat up the hills on the west side of the valley. Soon after, the largest hare we had ever seen bounded over the lip of the ridge and paused by the shelterbelt just long enough to prove to us we had not hallucinated a jackalope. We tucked into a hearty breakfast of granola with Greek yoghurt and bottled peaches (both served in mini Agee jars, a touch that seemed straight out of a magazine), and more of that incredible Rachel Scott ciabatta, all washed down with plunger coffee. We passed a leisurely morning watching drifting cloud formations, accompanied by a soundtrack of everyday sounds: the chirp of cicadas, birdsong, distant sheep bleating, a truck changing down, the low-level hum of State Highway 1, the buzz of a fly trapped in our glass box, and distant roar of aircraft, all intermittently punctuated by the muffled boom of the vineyard’s bird-scaring cannons. It was as if the radical exposure of our glass-walled getaway had attuned our ears and not just our eyes, so we were also immersed in the soundscape. Rather than a flat-screen TV in every room or overdone ornamentation, the luxury of a PurePod experience is the extreme privacy of a sabbatical from the distractions of urban life. The clouds began to lift only as we strapped on our backpacks to walk to the car. With the welcome sun on our backs, we lingered over the short hike to take some more photos, reluctant to descend the gravel road back to the valley floor, back to the highway, back to the city, back to work. Our all-encompassing, birds-eye view had been a magical introduction to the Waipara Valley and we left knowing we’d be back to sample more wineries, back to cycle the Waipara Valley Vineyard Trail, back to immerse ourselves in that big-sky landscape. Alastair was hosted by PurePods, Black Estate and Christchurch and Canterbury Tourism.